Home » Microlearns » Are you a Digi Mum or Digi Dad? Are you a Digi Mum or Digi Dad? Being a parent can be hard. Being a lone parent can sometimes be even harder. 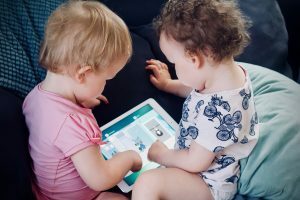 Sometimes we might use our digital devices like phones, tablets and laptops to keep our kids entertained while we do other things like the dishes or the washing, or even to just to give us a break. And that’s fine. Let’s call these devices our Digi Babysitters. Is the video they are watching right for their age? Are they playing an online game where others can message them? What if we could make our devices safer for them to use? We can, by becoming a Digi Mum or Digi Dad. Take this short online course, complete the quiz and become a Digi Mum or Digi Dad now!